Jacko.MY: Haagen Daz Moon Cake?! But nope, I am not on trip now, neither business trip nor personal vacation. I am at home watching TV series comfortably now. So I am not missing home but enjoying staying home now, even refused some mamak sessions. I am a boy next door. Hehe... :P I think I will become more 宅男 otaku when I complete my mega project in a year or two. Oh, the hidden yellowish layer tasted like peach. 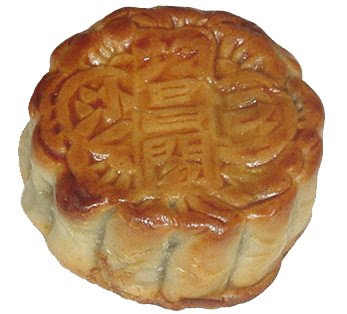 To me, if Haagen Dazs really want to make an ice cream moon cake, they should at least imitate what an ordinary moon cake looks like, not simply use whatever round shape mold they have in the kitchen, stuff in ice cream, name the final product a moon cake and price it a premium tag. Oh, this round ice cream priced > RM30, more expensive than other Haagen Dazs ice cream because it's named ice cream "moon cake". If you want an ice cream moon cake, look elsewhere. If you want to eat Haagen Dazs ice cream, you can eat other varieties, not worth paying RM30 for this tiny round shaped ice cream.